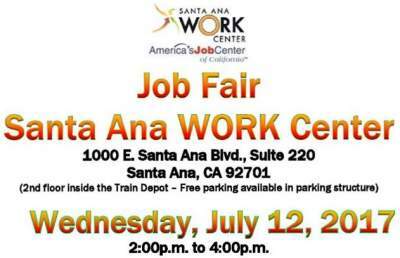 The Santa Ana Work Center’s next job fair will take place this week on Wednesday, July 12th from 2-4 p.m. at 1000 E. Santa Ana Blvd., Suite 220, in Santa Ana. 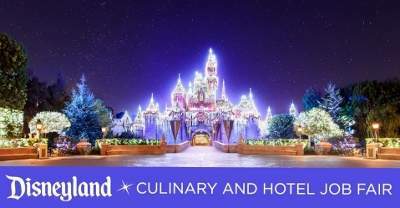 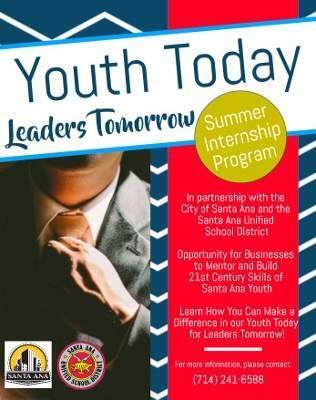 Santa Ana’s Taller San Jose Hope Builders has training spots open now! 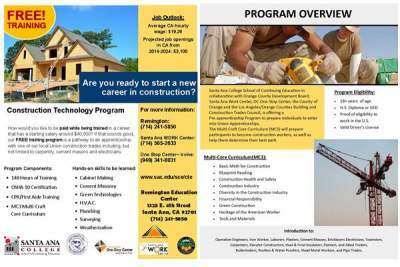 They pay youth $1,600 ($100 per week) to train in either Business Applications, Construction, Healthcare or Information Technology. 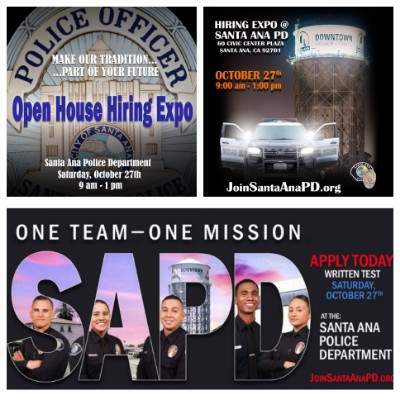 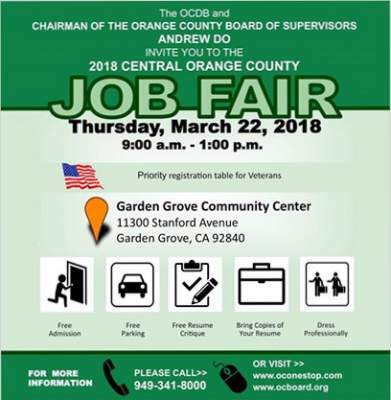 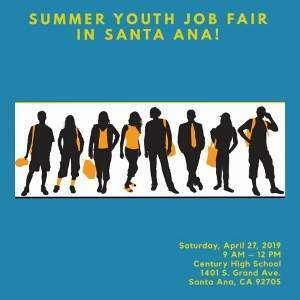 SANTA ANA – The State of California Employment Development Department (EDD), in collaboration with the City of Santa Ana and the Orange County Employer Advisory Council, will be hosting the 22nd annual Summer Youth Job Fair. 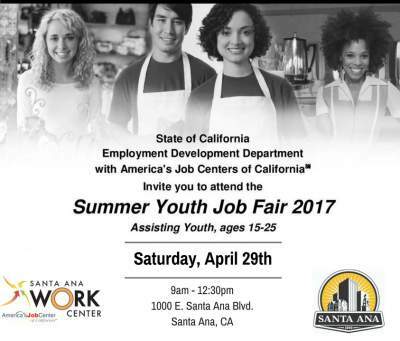 Youth job seekers between the ages of 15 to 25 can connect with employers at the Job Fair on Saturday, April 29, 2017 from 9:00am to 12:30pm at the Santa Ana Regional Transportation Center (SARTC).